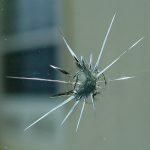 When a stone impacts a windscreen leaving what appears to be a minor flaw, you should be aware that a fracture can spread rapidly, eventually cracking and compromising the strength and roadworthiness of a windscreen. Repairing a windscreen fracture or small crack quickly is recommended due to modern vehicle design; the windscreen provides up to 45% of the cabins structural integrity and is crucial in protecting the driver and passengers. Our first priority will to be repair a stone damaged windscreen, using product and expertise that comply with Australian Standards for the repair of a windscreen. North Coast Windscreens offer a Lifetime Guarantee on windscreen repairs. Road stress, changes in temperature and pressure can also affect the stability of an unrepaired break, these various factors can cause the windscreen fracture to grow beyond a repairable state very quickly; therefore time is of the essence. Windscreen repairs can be less than a third of the cost of a windscreen replacement dependent on the degree of damage. Insurance claims for windscreen replacement can be organized and processed on our customer’s behalf whether that applies to the Family Car, Classic/Exotic Collectors Car, and Commercial, 4WD, Camper Van, RV, Bus, Truck or Earthmoving vehicle. A clean dry windscreen break, repaired early, will have optimum clarity, up to 80%. North Coast Windscreens offer free Windscreen Saver Patches for the early covering of a windscreen fracture if time does not allow for an immediate windscreen repair. North Coast Windscreens supply Windscreen Saver Patches which have a heat resistant glue to keep in your (family or classic car, Commercial,4WD, Camper Van, RV, Bus, Truck or Earthmoving ) vehicle. Call into our Noosaville Autoglass workshop for collection and peace of mind.